I had just driven 85 miles north of San Francisco when I finally reached my destination: a bright red building with large floor-to-ceiling windows in downtown Sacramento. The structure's high ceilings and spacious interior gave a subtle reminder that it used to be a former Chevrolet dealership. But instead of Camaros and Corvettes, the space was filled with desks, project boards adorned with Post-it notes and temporary work spaces separated by flexible cardboard walls. A hanging pirate flag and a Rubik's Cube sculpture lent the office a startup vibe. Except I wasn't in a startup. Instead, I was in the West Coast home of The Shop, a think tank innovation lab run by VSP, the nation's largest provider of vision care insurance. It's a little odd to think about an institution as stodgy as your insurance company having its own startup incubator, but that's exactly what this is. In fact, I was here to find out about a product that aims to make an ordinary pair of glasses the next big thing in wearable technology. They call it Project Genesis. "We've been providing vision care for our members for the past 60 years," said Jay Sales, co-lead of The Shop and the person who originated the idea of Project Genesis. 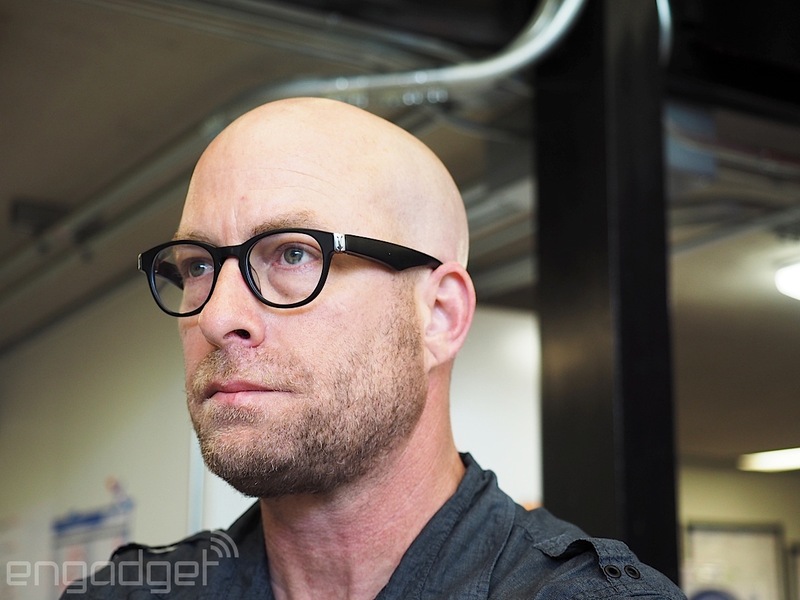 "It's a natural step for us to take what is already the most successful wearable in history -- a pair of glasses -- and add some feature sets to it." The beginnings of The Shop and by extension, Project Genesis, came about because of what the company saw as a rise in personalized health care and data-driven fitness tech. "For the last two years and change, we took the time to do a deep dive into all the areas that could disrupt us," explained Leslie Muller, who heads up the East Coast arm of The Shop over in New York. The fact that augmented and virtual reality -- both wearable technologies that sit in front of your eyes instead of on your wrist -- were up and coming was a big hint to Sales that the team was on the right track. 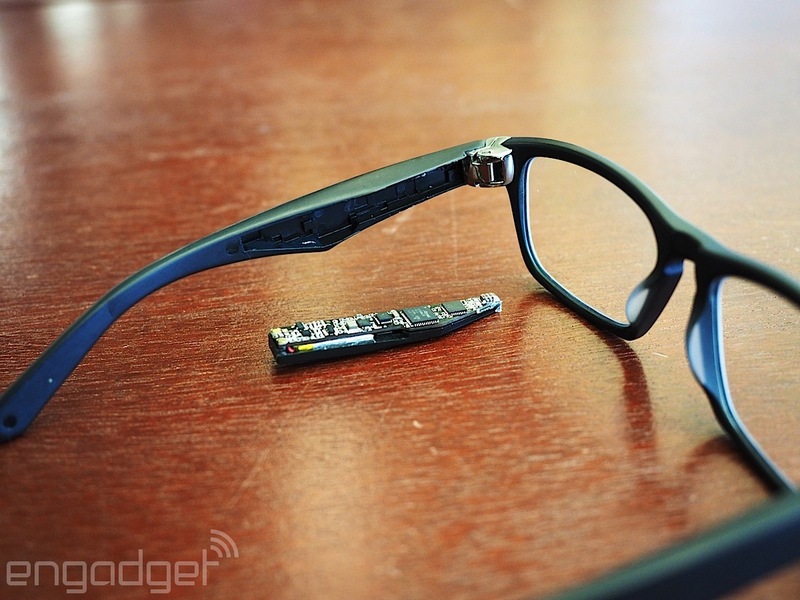 "Google Glass really knocked a pretty big hole in the wall for us," he said. "It became really obvious that we needed to make our own mark on this. Build our own platform, but put it in something that's not only socially acceptable, but beautiful." He was wearing a Project Genesis prototype when I met him, but I couldn't tell at first that he had on anything out of the ordinary. They look like an utterly normal pair of black rim glasses. Unlike Google's Project Glass, it doesn't seem even remotely Borg-like, and I could easily see myself walking down the street wearing this without feeling like I would get stared at by strangers. It was only when Sales took off the glasses that I could see that the left temple was ever so slightly thicker than the right. He removed a small black panel, revealing to me what he said are the brains of the Genesis. This included an accelerometer, a Bluetooth chip, a gyroscope, a magnetometer, a CPU and a small 32mAh battery that's said to last about three days between charges. Right now, all it does is track your steps, calories burned, activity time and distance traveled, similar to what a Fitbit and other activity trackers already do. But unlike something like a watch, which you have to remember to wear, for many people glasses are a necessity without which they'd feel naked. Additionally, Sales said there's another advantage glasses have over a watch: their position on the body. "Because of the positioning of eyewear on the head -- the center of axis of gravity -- we can get a whole different set of telemetry," said Sales. "It can provide a whole lot more context versus something that's on the wrist." This, he added, can lead to different applications. "We can get a lot more information about gait and posture." For example, with the elderly population, one of the biggest issues is fear of falling. If they were wearing a pair of these glasses during a fall, it could potentially sound an alert to a care provider. It could also see if you started favoring one leg over another, which could be a sign that you need a hip replacement. Jay Sales, co-lead of The Shop and the creator of Project Genesis. Sales and his team at The Shop have been working on Project Genesis for a little over three years now, but it's only recently that they've started to build real working prototypes. They've also just announced a partnership with the University of Southern California's Center for Body Computing to help bring the Genesis from prototype to a consumer product. "The eyes are the next frontier beyond the wrist," said Dr. Leslie Saxon, the founder and executive director of USC's Center for Body Computing. "Project Genesis provides a whole other level to engage people, to educate them on their health care story." The idea here is that Project Genesis will be much more than just a Fitbit for your glasses; Sales and his team want it to be an entire platform. They want to build even more sensors into it -- perhaps a heart rate sensor or a galvanic skin-response sensor to measure sweat. They also want the components to be smaller and thinner. Right now, Project Genesis only really works with thick-rim glasses. Eventually, Sales wants the CPU to fit even in the thinnest of frames -- perhaps in that little tip that fits over the ear. As for how Project Genesis will fit into VSP's core insurance business, that's still up for debate. "To be honest, we're not sure how it'll really fit into the equation of insurance," admitted Sales. 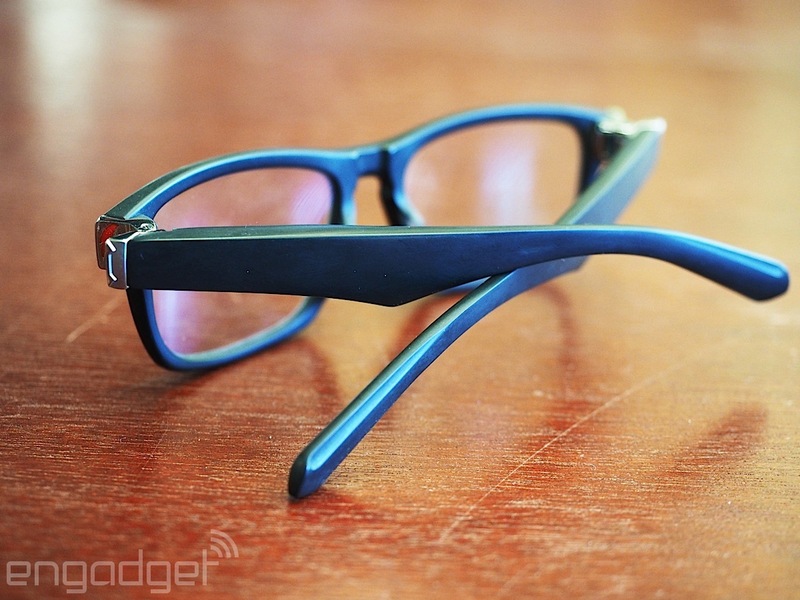 "We're not looking to add cost to glasses or add complexity. This could be a separate business for VSP." Yet, from the company's perspective, Genesis can still be seen as a value-add for its member base, which is around 75 million strong. Muller said that a lot of this information could be sent directly to your doctor, for example, so that they'd have a fuller picture of your health. "I've been wearing frames since I was 14," she said. "Imagine that landscape of data that would've been created for me if I had worn them since then." "We want it so that a generation from now, a little kid would look at an old pair of glasses like this," said Muller pointing to her own set of specs, "and say, 'What, it only corrected your vision? That's weird.'" Still, The Shop has a ways to go before making this dream a reality. It's still busy putting together what it wants the final consumer product to look and feel like -- shrinking the design, improving the battery life and recruiting more biomedical engineers to help it all make sense. More importantly, it also wants the device to be easy to use. "It's not just about giving you the data," said Sales. "It's how you present that data in a meaningful manner that's the tricky part." "We see this as just the tip of the spear," he added. "This is the beginning of the next 60 years of innovation for us."